In the second part of our series, we will be looking at 25 more social business networks that can be useful for businesses, entrepreneurs, and professionals to use and engage with. This free, Google-owned blogging platform has, for many years, been the default choice for people and businesses that want to create blogs. In its favour, it’s easy to use, the selection of free templates is pretty good, and it’s as reliable as they come. In terms of functionality, it lacks some of the useful features of WordPress, and it is relatively easy to lose your template customizations. However, it does provide you with a free domain on the Blogspot server, and it does have a strong community of users. If you don’t need the flexibility of WordPress, but need something a bit more flexible than Tumblr, then Blogger remains a good option for hosting your content. 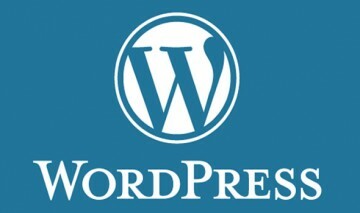 If you need a lot of flexibility and room for customization, then WordPress is by far the best option for your blog. Unlike content shared on Blogger (which can be used by Google whenever they want) you own everything you publish using WordPress. The flipside of this is that you need to pay for your domain name and web hosting, but at any rate a high level domain is usually worth paying for in terms of the SEO benefit. WordPress blogs are very customizable, but the platform is easy to use even if you don’t have any web development knowledge, and there is a huge range of free and paid themes available. If flexibility is more important to you than low costs and ease of use, then WordPress is the natural choice for producing and publishing content. Although the social and community aspect of WordPress is not as developed as Blogger, it does offer the ‘Freshly Pressed’ news page containing editors’ picks and community favourites. One of the most powerful tools for engagement with your content is the facility for readers to read comments and start conversations. Right now, Disqus is by far the most widely used comment hosting platform, with over 50 million registered users, which makes it the most obvious choice for this purpose. As well as social integration, it provides social networking features of its own, in that users can choose to follow people that post using the service. Brought to you by the same people that produce WordPress, Automaticc, IntenseDebate can be a strong choice if you are using the WordPress platform, as the integration is seamless. One of its most useful features is Reputation points, which allows the best-regarded comments to rise to the top. Users can simultaneously tweet when they post a comment, which can help to draw more attention to a post, and there are numerous login options including Twitter, Facebook, and WordPress ID. As a community, it’s not quite as big as Disqus, but the ease of use (when combined with WordPress) could tip things in its favour. The most recent entrant to the 3rd party commenting platform market may not quite have the visibility of its more established competitors, but there are plenty of reasons why you might still choose it. It’s very easy to use, and can boast most of the features of Disqus and IntenseDebate – with a few extra ones thrown in. Commenters can use the ‘@’ symbol to tag other users, a la Facebook, and anyone that ‘follows’ a conversation will be automatically updated as to activity on the discussion, which increases engagement. Although social bookmarking services/discovery engines seem to have tailed off in popularity in recent years, at least compared to the explosive growth of social networks such as Facebook and Twitter, they remain popular with millions of users, and can be a good way to get your content propagated. StumbleUpon, which is currently the most popular service of its kind, allows users to enter their interests, and have websites, photos, and videos recommended to them based on the ratings of like-minded users. Companies can also pay to have their websites discovered by users, which provides a good option for improving traffic to your site. As a social bookmarking service, Delicious does well on the bookmarking side, but is less developed from a social perspective than some of its competitors. Delicious allows users to create website playlists called ‘stacks’, which makes it easier to browse and discover than with some other tools. It lacks an FB/Twitter login option, and the range of content is a bit limited, although the average quality of content is higher than with some other networks. Reddit’s main competitor provides a similar service, in terms of bringing together popular content from the web in the form of an online magazine. It’s less curated and a bit more democratic than Reddit, and a strong presence here can bring a decent amount of traffic to your content, but it’s not the force it once was. Despite having one of the least attractive front-ends of any social bookmarking service, Reddit can command a loyal and engaged fanbase. Content is curated by ‘Redditors’, a community of web enthusiasts that helps to locate the most interesting content on the behalf of Reddit’s users, and while the content that rises to the top tends to fall into certain categories, it can be well worth engaging with this platform if it suits your business, as the engagement levels are very high indeed. This community website platform allows users to create pages – called ‘lenses’ – on any subject that is interesting to them and their audience. These pages can be used to sell products, making it a good platform for businesses to engage with if they operate in a niche area. Creating pages is easy, and this can be a good platform for sharing content and gaining visibility. Another single-web-page platform in the Squidoo mould, the HubPages community provides a user-friendly hosting solution for your content, and the community aspect means that the best articles will gain traffic. It provides strong integration with Facebook and Twitter, and content shared on this platform can gain extra visibility through the highlighting of the most popular articles on the homepage. Now one of the most popular content platforms on the web, Buzzfeed specialises in curating and enabling the discovery of some of the web’s most popular viral content. While the type of content that does well on this platform tends to fall into a few generic categories (particularly lists), the high levels of engagement with this platform on mainstream social media channels makes it one of the most effective ways of getting your name out there and your message across. Location-based social apps can be a boon to businesses with a brick-and-mortar presence, enabling such businesses to build their social media reputations and helping potential customers to co-ordinate their visits with friends. 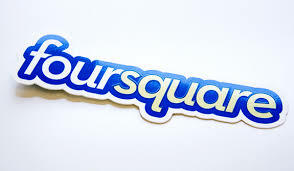 Foursquare is the undoubted king in this particular arena, and its large and growing user base makes it hard to ignore. It has had some of its thunder stolen by Facebook’s acquisition of rival service Gowalla, which has since been integrated into the social network’s core functionality, but it remains a platform that many businesses will find it valuable to engage with – for the time being at least. While most of Foursquare’s competitors in the check-in arena have disappeared, this specialist service, which provides integrated check-in and social networking for TV, films, and sports evemts, continues to grow with over three million users and a wide range of big-name commercial partners including BSkyB and CNBC. This community website offers a way for ex-pats to find each other and arrange meetings while they are abroad. So, for example, you might see a thread for Scottish ex-pats in California or Londoners in Wellington, New Zealand, and it is easy to start your own threads. This free event-manager system offers a simple, social media-friendly way to set up and host events, including the facility to sell/distribute tickets. Events on the website are listed by category and region, making it easy to see if there are any relevant business or networking events coming up in your area. This question and answer website is both a content platform and a community, with the format of the articles encouraging engagement from the get-go. From a business perspective, it is both a useful resource and an avenue for sharing content with an engaged audience. This Russian social network is the second biggest in Europe after Facebook. If you are based in Eastern Europe, or do business there, then it can be very useful to have a presence on this network, which can be linked with Facebook and offers quite similar functionality. A social network for independent visual artists, this provides artists with a space to host their works, build a fan base, and communicate with other artists. The one-time king of social networking has been re-invented as a specialist music website, with a range of features aimed at musicians and those involved in the music industry. Billed as “the social network for meeting new people”, Tagged is a social discovery website that allows members to browse the profiles of other members, play games, and share tags. Useful for expanding your network. The annual Shorty Awards celebrates the social media achievements of businesses and personalities, providing a platform for amplifying successful campaigns and promoting engagement with your brand. Entry is free, there is a huge range of industry and niche-specific categories, and needless to say any recognition from these awards can prove a huge boost to your social profile. Essentially an analytics tool for measuring social media reach, Klout looks at a range of factors including engagement, number of followers, and influence to determine the Klout score of an individual or business. It can be particularly useful for sourcing people to help you propagate your message, and the ‘topics’ function enables social interaction and networking between professionals with different expertises, including an accreditation system (+K) to endorse their influence. This social network is intended for businesspeople and professionals, providing the tools to find relevant and useful people in a certain field, and also to measure and manage your online reputation. This recently-established social referral network is intended for professionals as a means of building partnerships online and boosting their reputation through online referrals. Although it doesn’t have anything like the user base of LinkedIn, its specialised nature could make it useful for certain businesses from a recruitment or networking point of view.